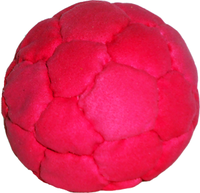 This beautiful handmade RECYCLED rubber filled juggle ball is destined to become one of our best selling balls. 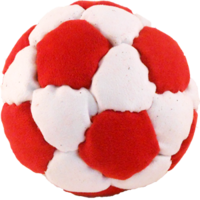 Feedback from jugglers like you has enabled Flying Clipper to make what we think is the ideal juggle ball for both beginners and professionals. 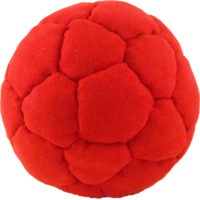 This beauty is filled to 95% volume and is the prefect size for numbers up to seven or more. 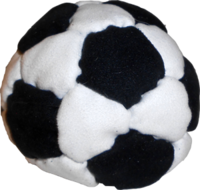 You will never worry about these balls rolling away on you as they have a drop-dead quality unlike any other ball on the market today. 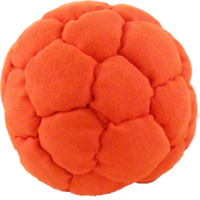 Our first runs of new juggle balls are always small so be among the first to try out these fantastic juggle balls and we know you will be glad you did. 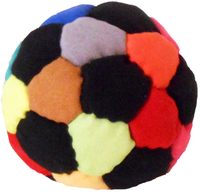 Like all of our handmade juggle balls, the Phat Tyre Pro juggle balls are completely washable. You would be wrong for thinking a filling of recycled tyre rubber was a gimmick. It’s not. It’s almost as though this filling was destined for this use. The marriage between filling, filling volume and fabric is precision artistry. They are a joy to juggle. They implore you to juggle them, and every time you do you find something new to appreciate about them. 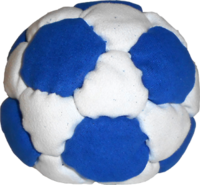 They are good for numbers juggling and I suggest appropriate across the whole spectrum of juggling skill levels: from beginner to professional. 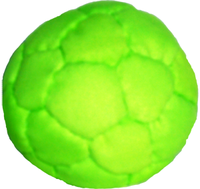 These balls are really great. 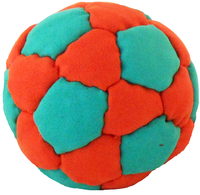 The feel of the balls is unique for sure, and I like this most compared with all the juggling ball types I have (and they're a lot of them). 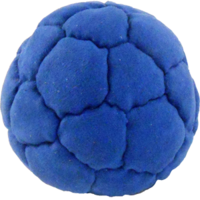 Why 4/5 is for me a bit of wobbly feeling while catching the balls - this might be individual. Nevertheless I can strongly recommend them making juggling a more fun experience. 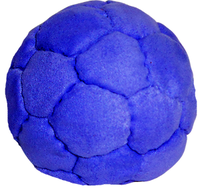 I cannot recommend these balls enough. They are a joy to practice and play with. As a first time beginner, I wasn't sure what I was wading into, but I have nothing but the highest commendations for the quality of the craftsmanship and the customer service in ensuring that I had a right fit for what has become dozens of hours of practice. Jim was a patient accommodating man who understands what it is to do a quality job. When my previous order wasn't what I had precisely wanted, we went back and forth until I was able to find something that has kept me entertained every day since. The only extra cost was the shipping, which I can only say is very reasonable thing to ask after such care. 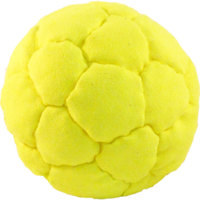 The weight is beautifully balanced as the ball nicely keeps it shape as its flying through the air due to the multi-panel stitching. 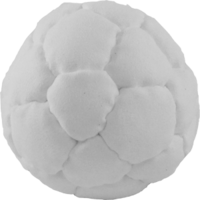 This ensures that the fill is evenly distributed throughout the bag, and it lands in your hands with a good "thump". Break them in and you are sure to be thrilled by what you find. My only comment - and why 4 stars instead of 5 - is that as a female juggler, I have smaller hands which can sometimes make catches difficult. 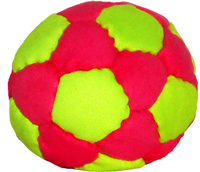 I would love to see this ball at a smaller diameter, but I would say that 2.55" is not a bad size generally. All told, I love these balls and the quality of the craftsmanship and care of customer service goes above and beyond.